Another sad news to our sea creature who was killed by a harmful plastic at the sea. A dead whale was found on the shores of Barangay Cadunan, Compostela Valley, and it was discovered to have ingested 40 kg of plastic. The photo was shared by Davao City-based non-government organization and museum D' Bone Collector Museum Inc. on Facebook. A necropsy was conducted and they found items like rice sacks, plastic bags, and shopping bags. 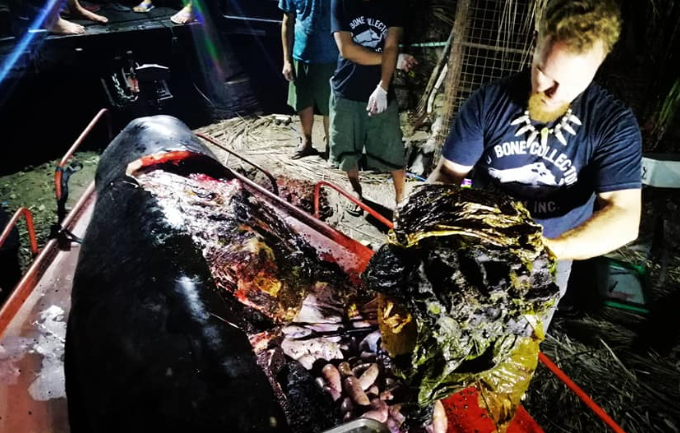 "This whale had the most plastic we have ever seen in a whale. It's disgusting,"Marine biologist and environmentalist Darrell Blatchley wrote on Faceboook. He urge the Philippine government and Filipinos to take action by not using a single plastic.